Daily life distracts us from the transformations in which we are immersed. The crisis of non-renewable energy resources (fossil fuels and uranium, 85% of the energy used worldwide) may keep us awake, but in the background a much more global crisis is revealed: we are advancing along an unsustainable path, which, if we do not turn around, could lead to the regression of civilization. 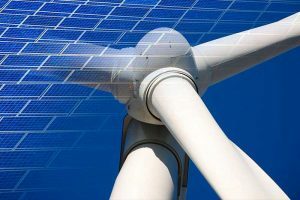 The energy crisis (exhaustion of finite resources, pollution, and climate change) has a solution and requires a transition to renewable sources. We all agree on this. But have we thought about how to introduce the 60,000 hectares of energy harvesting systems required in Catalonia (the current surface area that has been built up and developed is around 210,000 hectares)? Or how to transform our mobility (around 5 million vehicles), from the perspective of the end of petroleum? Or how to reorganise our lives and activities, which to date have been based on stock energy sources (fossil fuels and uranium), available at any time, to flow energy sources (sun and wind), which are sufficient but intermittent and random? Furthermore, a considerable amount of energy is wasted, either due to inappropriate pathways (only a third of primary sources are converted into electricity and one in five is used in vehicle traction) or inefficient uses (excessive power, lighting and temperatures; uses that are not adjusted over time, adaptation to the principle of use and throw). Here, another of the major challenges of the future emerges: how to recycle our waste and recover materials. Many material resources (metals, mineral resources, and soils) are also scarce and there is no source outside the Earth to replace them, unlike energy from the sun. The circular economy along with respect for natural cycles and biodiversity conservation are key elements in the new cycle that humanity must develop. The challenge of this paradigm shift is enormous, but now unstoppable. This is how it is understood by an increasing number of opinion makers, as shown in the document published by Jacques Delors. Accepting responsibility for this new reality opens up many opportunities that must be addressed with an open mind and from new perspectives: a) recover a long-term approach, as the shift to the new paradigm will take several decades; b) put together multidisciplinary solutions, and therefore learn to cooperate from various areas of knowledge and activity; c) develop a way to combine theory and practice, basic research and development. In this area, research groups and centres at the UPC are well-positioned. 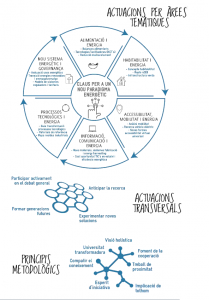 In September 2017, the Universitat Politècnica de Catalunya (UPC) published a document entitled Claus per a un nou paradigma energètic (Keys for a new energy paradigm. It was the result of a four-year process of meeting and discussion with the participation of around 60 members of the university community as well as people from outside the university. The document established strategic areas for research and technology development, on which the UPC will work to contribute to moving on from the energy model that has predominated in the last 150 years, which is based on an increasing proportion of non-renewable resources. The document analyses the situation from the perspective of six subject areas: food; habitability; accessibility and mobility; information and communication; technological processes; and governance. 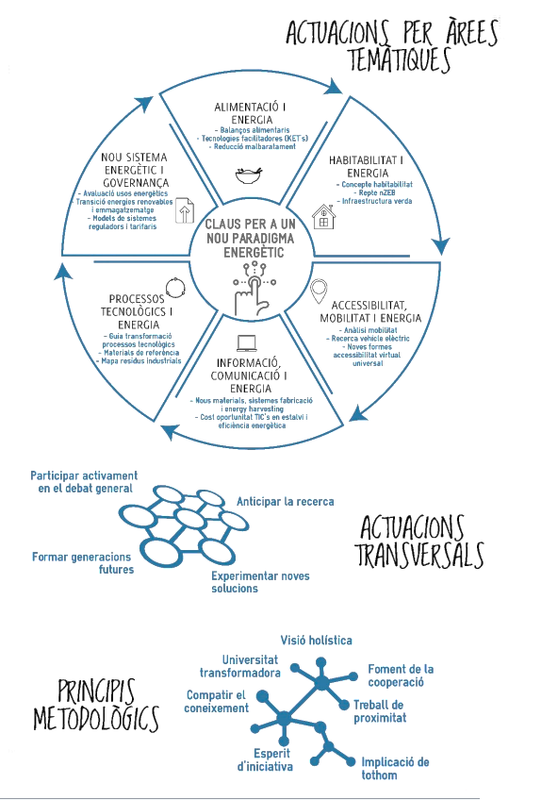 The group that promoted the document is organising a second stage with specific actions in the following areas: strategy, teaching, research, external collaboration, pilot experiments, and communication to face the new paradigm. This entry was posted in Sin categoría on 24 July, 2018 by www-citupc.